LOBO Lifting Slider Beam equipment provides an easy to attach lifting solution. All LOBO Systems Lifting Slider Beams are nominally rated and certified with a Safe Working Load (SWL) of 250Kg / 550 lbs. The SWL can be upgraded further to a max of 500Kg /1000 lbs depending on the conditions and the way it is used. The Lifting Slider Beam is designed to fully integrate with the LOBO System. This means that the Lifting Beams can be positioned within a LOBO structure to provide limitless applications. Alwasy perform weight and load calculations before using the LOBO lifting slider beams, always fit LOBO adjustable sway braces to the system. The Lifting Slider Beam is available in four different lengths to accommodate different Loboard lengths. 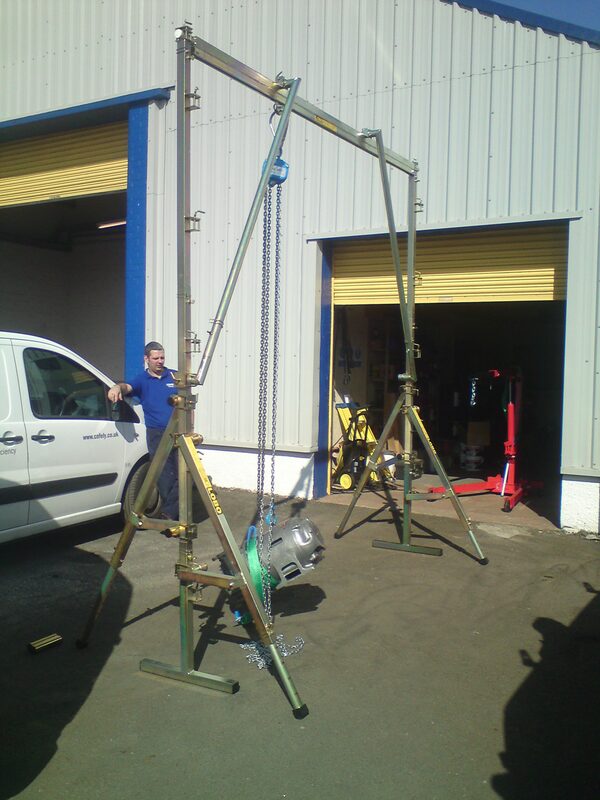 They are also available in kit form complete with LOBO Trestle Legs to produce a mobile lifting frame.